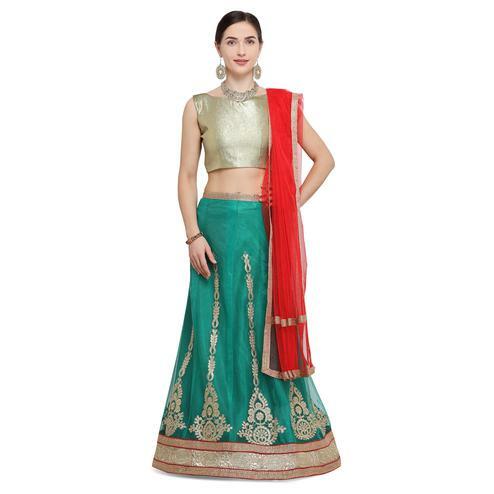 Give your ethnic collection a bright and stylish makeover with this green colored lehenga choli. 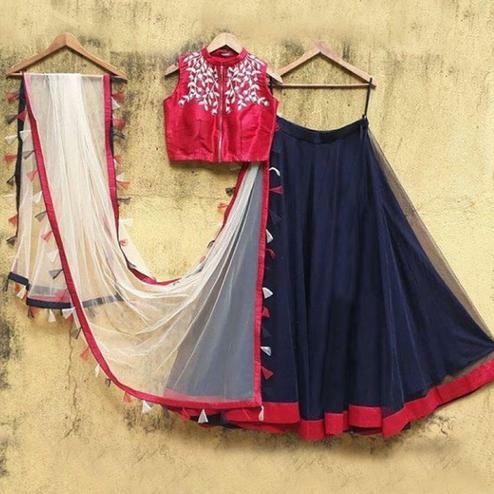 This designer piece crafted from rich fabric is detail with stone, print & contrast lace border work. 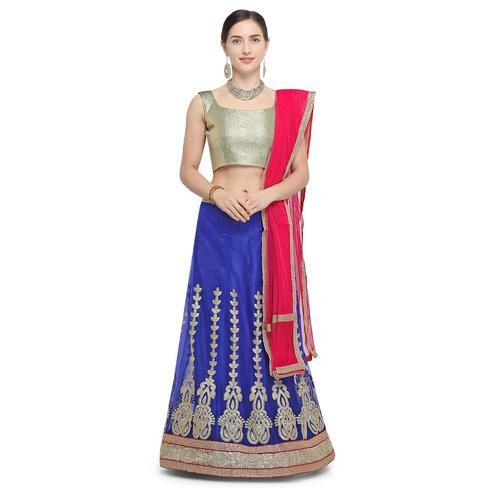 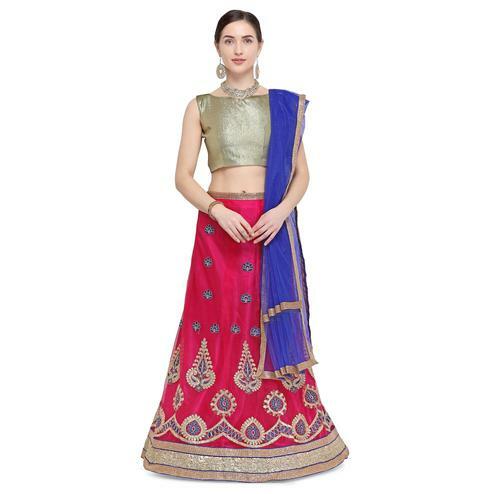 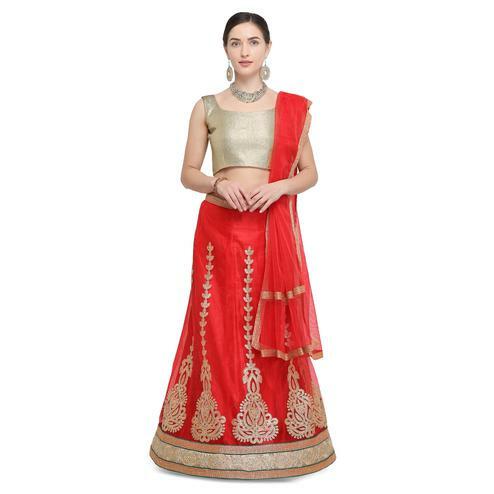 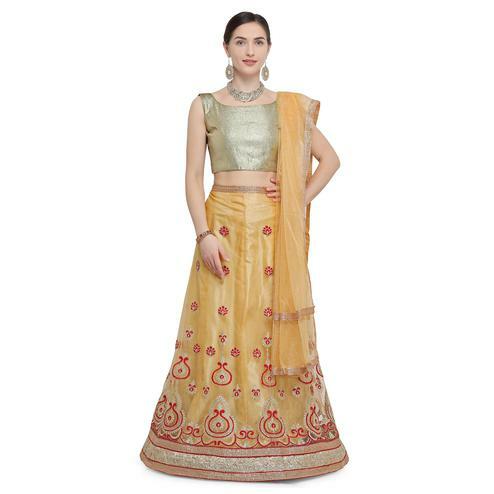 You can wear this attire for festival, functions & special occasions. 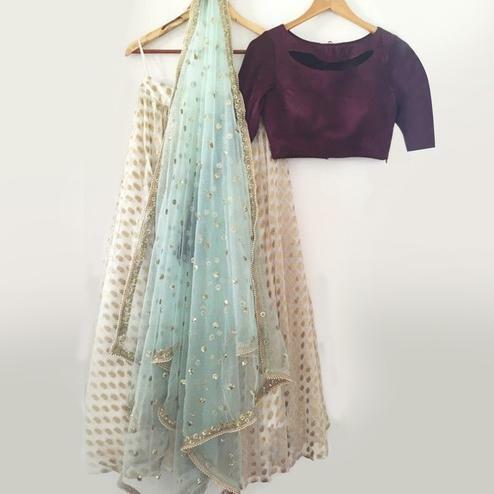 It comes along with a printed blouse & net dupatta.